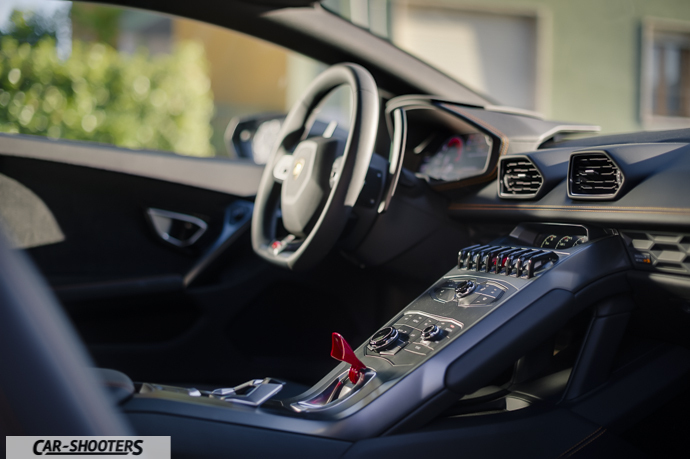 As car enthusiasts we often come across photos, videos and lengthy reviews of supercars that describe their beauty, their performance and their comforts. Car-Shooters in the past two months has used (or at least we tried) to show and experience places and cars that give emotion. 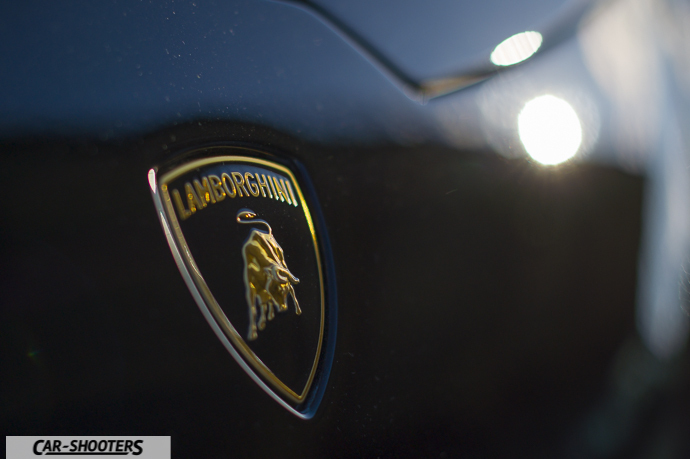 We saw a classic car, a roadster, a luxury sedan and also major events of Italian automotive. In our constant search for cars to photograph we had not yet encountered such kind of car. The fortuitous collaboration with Autoexclusive in Pistoia let us finally meet this gem. And we have to show it! 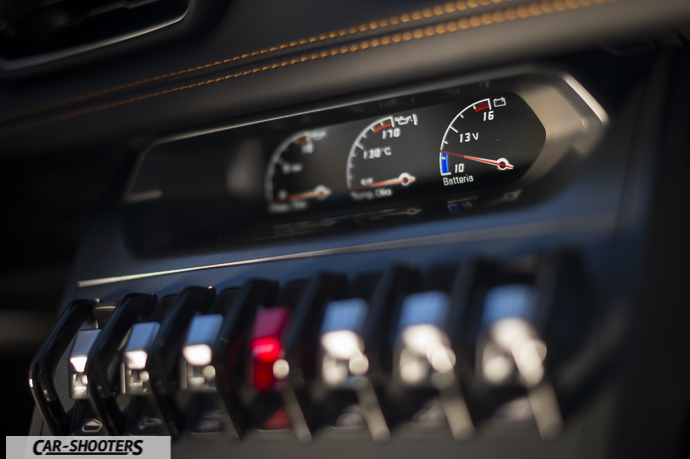 It will be a photoshoot different from the others because a static one, but with the bonus of a short video, and you will understand all our excitement when we will on board of this supercar. We were cuddling this idea for weeks, Marco was really exited. 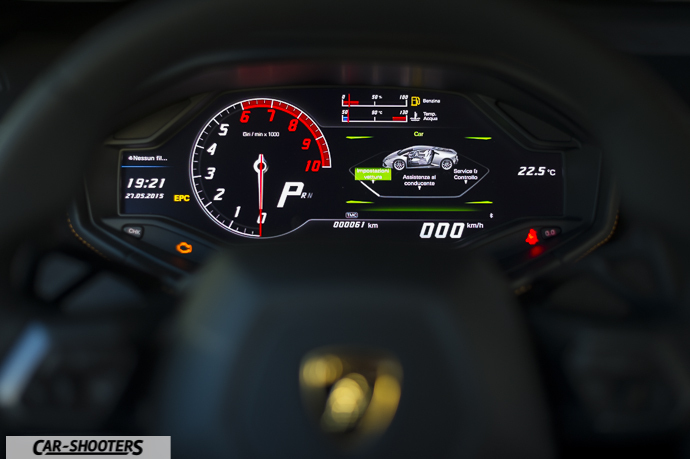 Why we chose a Lamborghini Huracán? 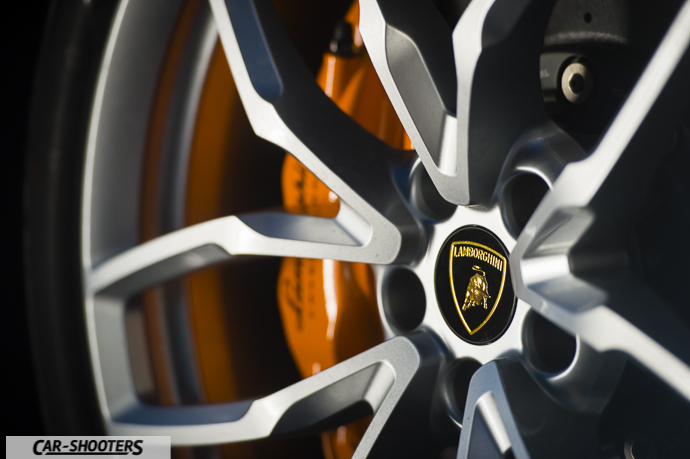 Just say the word SuperCar and close your eyes, what materializes in your mind is a wide, flattened, exaggerated car. Those of our generation certainly will imagine their model of BBurago Countach. 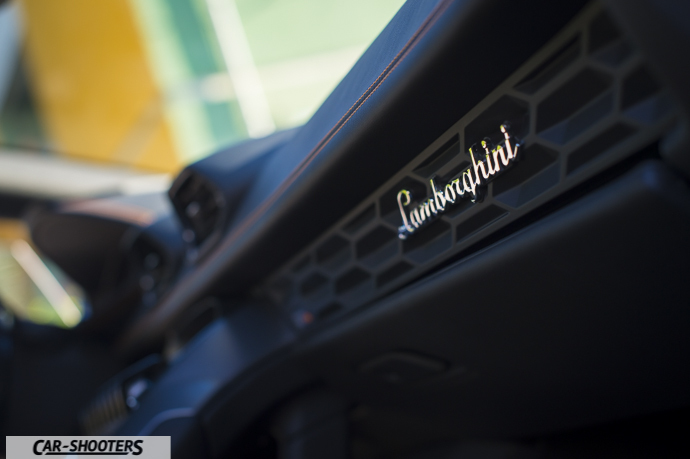 So yes, we chose her for this reason, because a Lamborghini SuperCar is THE dream and in addition we have the lucky chance to put our objectives on a brand new model of the brand from Sant’Agata Bolognese. While we are driving towards Pistoia, I wonder how to deal with a car of this type, as it will be difficult to grasp the details of this real piece of art on wheels. We arrive at Autoexclusive and I see it in the middle of the court that it seems waiting for us. My first thought? It’s black, I will need to make a big effort, but for you this and more! I start looking at it and I feel inspired … already imagine the different photos and positions to put it inside the courtyard of the car rental, being able to have in my hands… The car is so new it is not even registered and I really like this. I will try for a few hours to put myself in the shoes of those who could buy a car of this type. It’s time to turn the engine on and bring it in the yard. 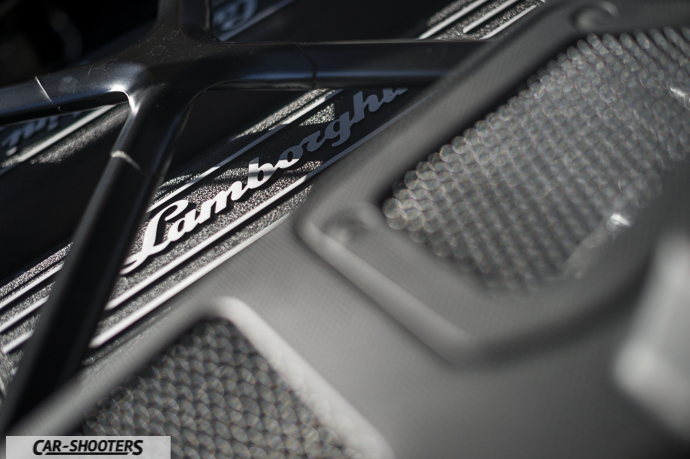 The sound of a Lamborghini is unmistakable. Everyone likes the sound Ferrari, you can recognize it immediately as if it were granted by a luthier, but that of a Lambo is different. 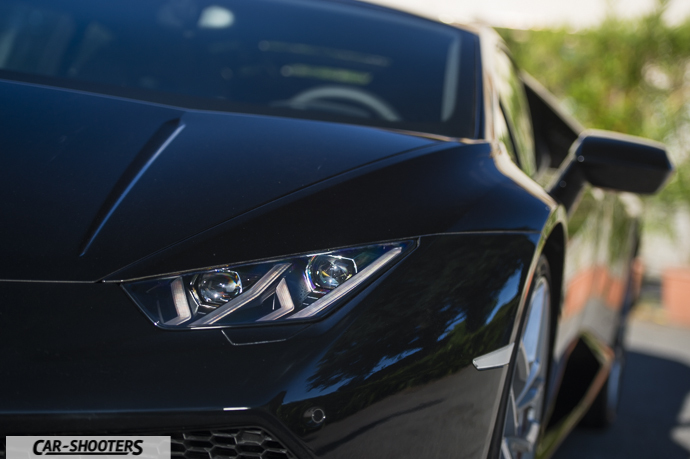 The Huracán roars loud since the engine start up. 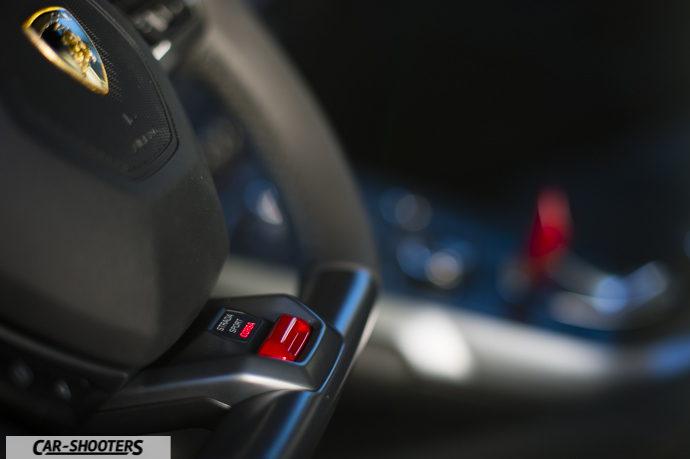 Its sound is the first great emotion we perceive and it comes from the engine positioned exactly behind our head. How much can be exciting to ride! 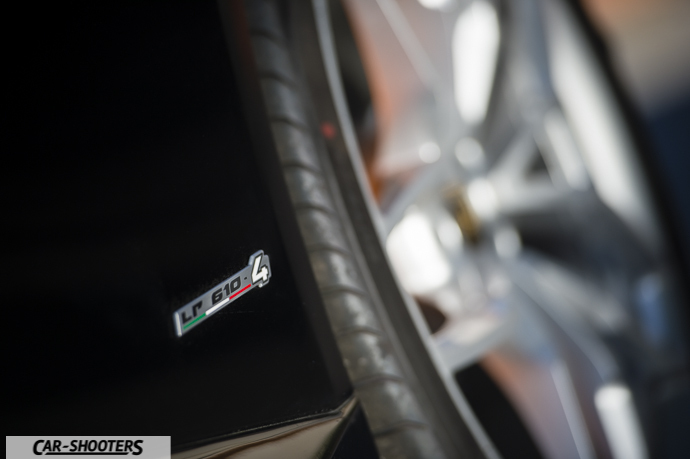 It seems too obvious that with its 610HP, mid-engine, all-wheel drive and dual-clutch gearbox is able to go fast and give you big adrenaline rushes! Looking at it from the outside, turned off, makes a great effect. Yesterday, I read a quote saying that if you don’t turn back to look at your car after you’ve parked it means you bought the wrong one. Anyone with this monster definitely will turn to look at it whenever he can! 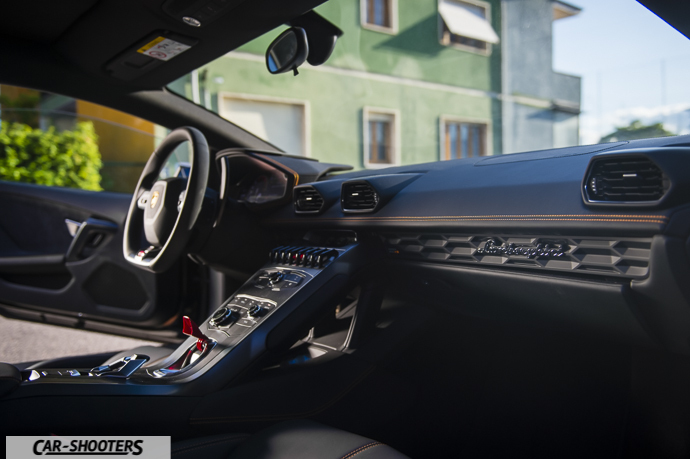 I open the door and went inside, the seat is very low, you feel one with the road, the steering wheel is the perfect size for my hands, feeling the quality of the leather that envelops the entire interiors. 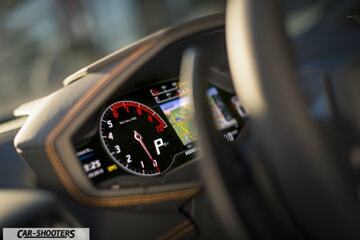 The wonderful display behind the steering wheel, combined with the central one, is a miracle of technology. Bright and easily legible even if the sun beats down on us directly, indicates any information that the driver needs without distracting from driving. 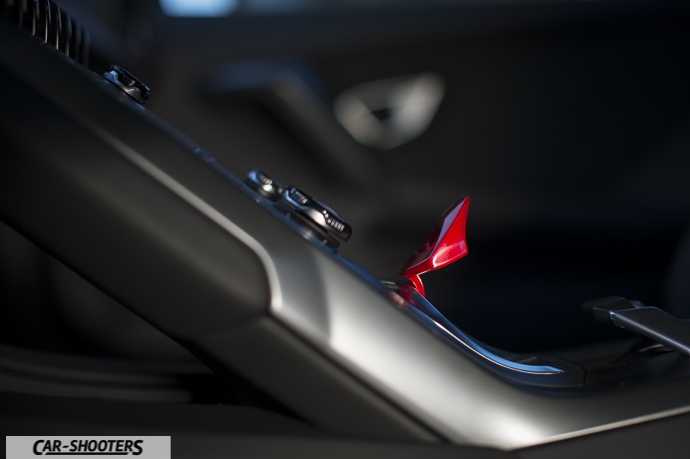 The gearshift paddles are huge and beautiful, the aircraft-style central key to turn on the engine and the driving mode switch on the steering wheel complete the atmosphere of a true supercar. And then there’s the smell. 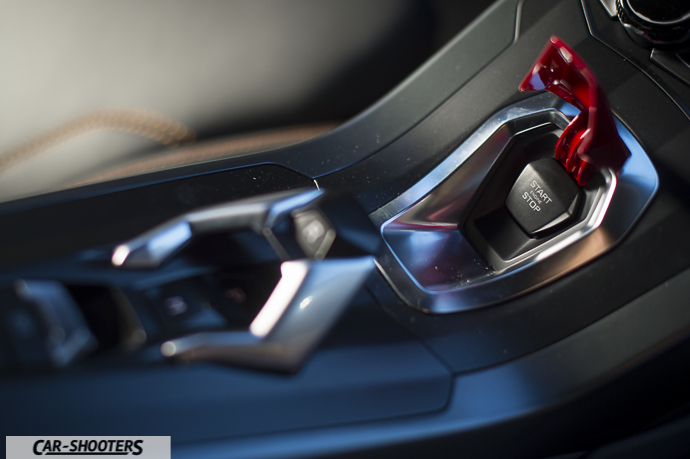 Because the thing that perhaps no one has never told you in a thousand reviews of luxury cars is the smell that you feel within them. I often think that the smell inside a car is like the noise of its engine. Fascinating. It makes you appreciate the value of the car you are on board. 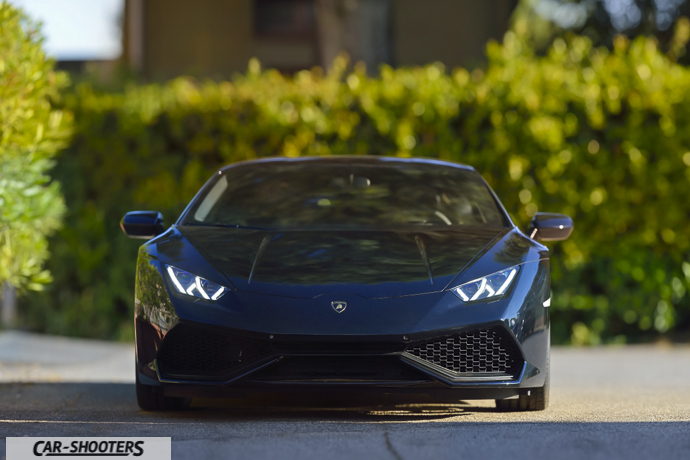 Here’s another emotion that gives a supercar, this supercar. 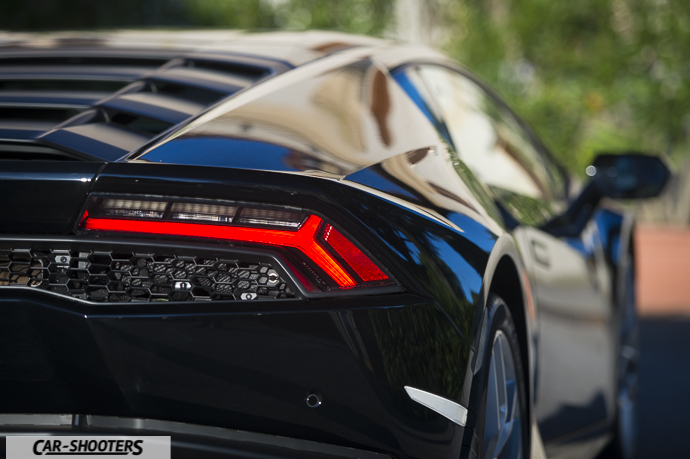 Sight, hearing, touch, smell are all encouraged when a fan like me approaches this Huracán. It seems to come back to being that child who was playing with his model of Countach. 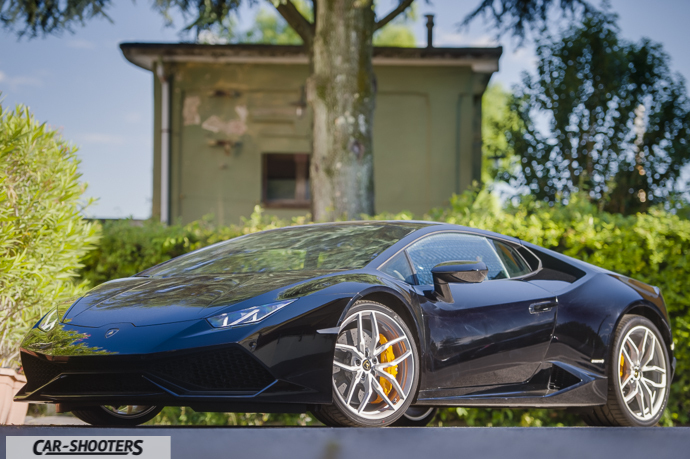 Next time, with a little bit of luck, we hope to complete the work by telling the emotions and the feeling you get driving a supercar but today Marco and I have finished, while we accompaign with our eyes “our” Huracán back in the offices of Autoexclusive.